-Al Qaeda affiliated rebels in Syria executed two Alawite men on September 16 in the main square of the rebel-controlled city of Raqqa. 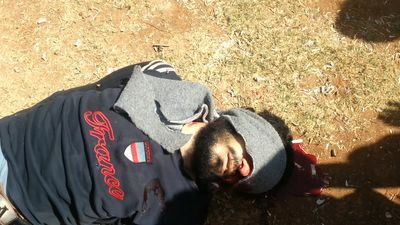 Fighters from the “Islamic state of the Levant and Iraq”, a Sunni extremist group affiliated with Al Qaeda, justified the execution on the grounds that the men were “Nusaries”, a derogritory term used to describe members of the Alawite sect of Islam, from which Syrian president Bashar al-Assad hails. 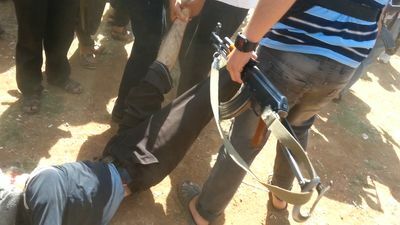 When local women witnessing the execution protested the actions of the fighters, the fighters cursed the women and claimed that the men had raped women in the city of Homs. The men were subsequently executed and their bodies carted away in the back of a pick-up truck. This event has reinforced fears that Sunni extremists will try to eliminate the Alawite community of Syria if president Bashar al-Assad falls from power. -Al Qaeda affiliated rebels in Syria executed two Alawite men yesterday in the main square of the rebel-controlled city of Raqqa. 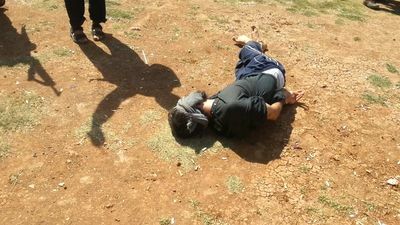 Fighters from the “Islamic state of the Levant and Iraq”, a Sunni extremist group affiliated with Al Qaeda, justified the execution on the grounds that the men were “Nusaries”, a derogritory term used to describe members of the Alawite sect of Islam, from which Syrian president Bashar al-Assad hails. 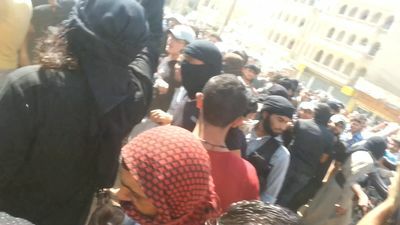 Al Qaeda affiliated rebels in Syria executed two Alawite men September 16 in the main square of the rebel-controlled city of Raqqa. 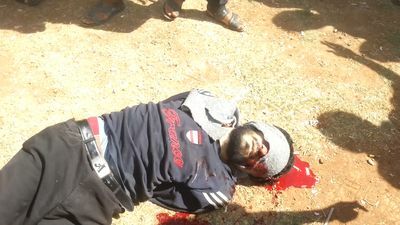 Fighters from the “Islamic state of the Levant and Iraq”, a Sunni extremist group affiliated with Al Qaeda, justified the execution on the grounds that the men were “Nusaries”, a derogritory term used to describe members of the Alawite sect of Islam, from which Syrian president Bashar al-Assad hails.